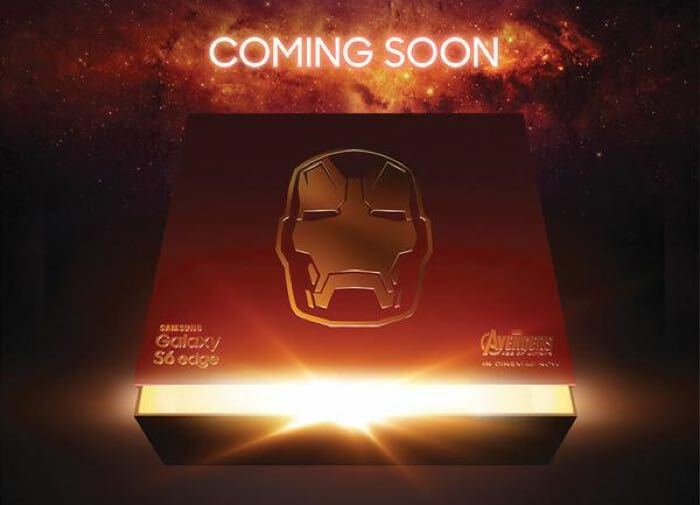 We have already seen some photos of the new Avengers themed versions of the Samsung Galaxy S6 and now Samsung has teased a new Samsung Galaxy S6 Edge Iron Man Edition. The photo above was posted on Twitter by Samsung, the company has said that the device is coming soon and availability will differ by region. As a reminder, the Samsung Galaxy S6 Edge comes with Samsung’s Exynos 7420 eight core processor and 3GB of RAM. The handset features a 5.1 inch curved display that has a QHD resolution of 2560 x 1440 pixels and the device comes with a choice of 32GB, 64GB or 128GB of built in storage. Other specifications on the Samsung Galaxy S6 Edge include Android Lollipop and the latest version of Samsung’s TouchWiz UI. The handset features a 5 megapixel front facing camera and a 16 megapixel rear camera. As soon as we get some more information on this new Iron Man edition of the Samsung Galaxy S6 Edge, we will let you guys know.